Evidence used against John Paul Wootton and Brendan Mc Conville for the killing of Constable Stephen Carroll in Craigavon, Co Armagh in March 2009. They are know as The Craigavon Two. See Video Documentary One below for further information. This 3:49 minute video documentary aims to tell the story of the conviction of Brendan Mc Conville through the words of his parents Willie and Eileen. Mc Conville was convicted on 30 March 2012, for the murder of PSNI Constable Stephen Carroll on 9 March 2009. He was arrested and held in prison since 10 March 2009. 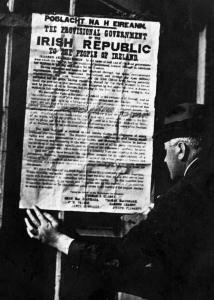 A group calling itself “The Continuity IRA” claimed responsibility. Mc Conville was convicted along with John Paul Wootton by a non-jury trial and they remain in prison to this day, despite their claims and the claims of campaigners (Justice for the Craigavon Two – JFTC2) that it was a miscarriage of justice. Campaigners know Mc Conville and Wootton as “The Craigavon Two”. The prosecutions’ key witness, known as Witness M, claimed to have seen Mc Conville at the scene even though he has a visual impairment. Witness M did come forward with this information for 11 months. This coat, recovered within hours of the shooting, was dry yet the conditions that night were wet. The forensic examination of this coat and the fire-arm recovered after the shooting did not match. Although multiple sources of DNA were found on the coat only Mc Conville ‘s were followed up on. The tracking device, allegedly planted on Wootton’s car by MI5, that placed Mc Conville and Wootton at the scene of the shooting, went missing. When it was returned it was returned in an altered state with data missing. Although the assault rifle and several rounds of ammunition used in the shooting were recovered no forensic link was made to either of the two. At the time of their conviction, the prosecution claimed that the forensic tests carried out on the brown jacket in the car identified gun residue and DNA linking it to Mc Conville. As reported in The Irish News on 11 July 2009, they said the tests showed that Mc Conville was “more likely than not” to have been the wearer of the coat. Mc Conville denied owing or wearing the coat. This same article in The Irish News goes on to say that a forensic scientist, who carried out tests on the brown jacket, said that while she found traces of substances that “could have originated from a firearms source” that the absence of “barium or mercury means that there may be another source”. She therefore concluded that the forensic results could only be regarded as “indicative” of the coat containing gun residue. It is also alleged that MI5 removed and tampered with a car-tracking device that they had placed on Wootton’s car. In the early court hearings the resident magistrate admitted that he was not satisfied that the case against Mc Conville was the strongest but that it was enough to refuse Mc Conville bail. In an article published in The Newsletter on 4 March 2015, the widow of Constable Carroll, Kate Carroll, said that while she believes that Mc Conville and Wootton were not “totally innocent” that she believes that “the killers are still not apprehended”. Mc Conville initially received a 25-year sentence while the younger Wootton received a 14-year sentence, at their trial in 2012. However, Wootton’s sentence was increased by four years, on appeal by the PPS, in October 2014. Having read the case information, and court transcripts, even to an untrained legal eye, the case against Mc Conville and Wootton appears weak and to be built on questionable evidence. Furthermore as credible personnel have attached to this case and spoken out about it, it warrants investigation. 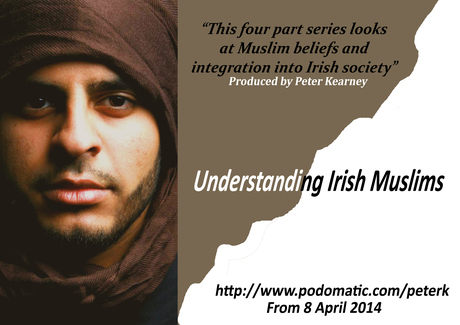 This four part radio documentary looks at the lives of Muslims living in Ireland. The 4 episodes can be heard at podomatic.com/peterk and the first one is located here.